Really disappointed with Pickford yesterday and should have done better. If he ever comes within striking distance of a mouthy, former Liverpool player he needs to be connecting with the head 100% of the time. Ings is such a Mark Hughes player. Grimness personified. Ings was being a full on wanker the whole match. 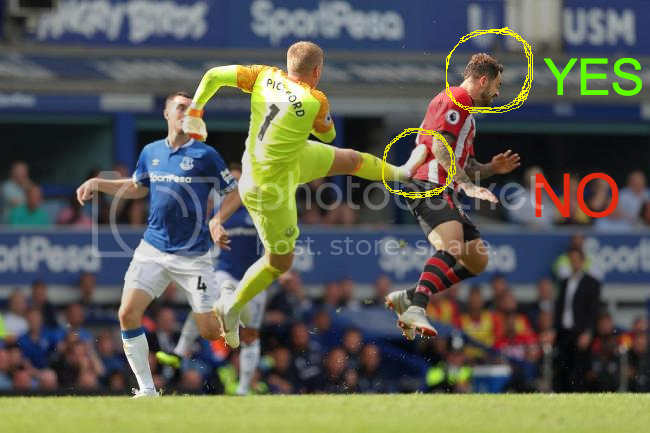 I think Pickford definitely knew what he was doing there. Surprised Ings hasn't been charged by the FA for exposing us to his Lassie tattoo. Talking of body language. What's going on with keanes hands . who runs like that?